This Monday was the “day after” in America; the day after the Super Bowl, the biggest football game and biggest sports event in the nation as well as usually the highest rated program of the television year. 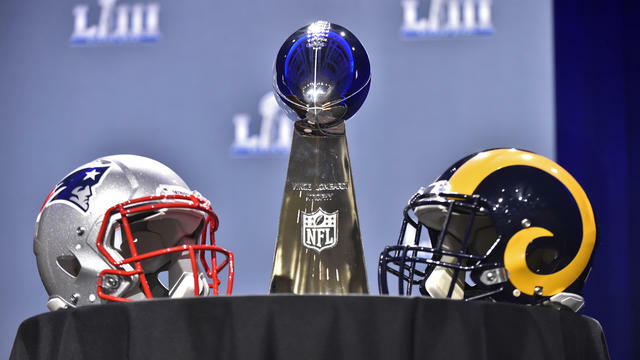 This football championship game—this year between New England Patriots and Los Angeles Rams, the last two teams standing after four weeks of playoffs—garners far higher television ratings than say the World Series, even though baseball is supposedly America’s national pastime. Yet it is this football game—which includes a huge half time show and pricey television commercials that are usually not shown anywhere else—that draws tens of millions of Americans to the tube. That’s even though many of the viewers don’t even care for our modern version of gladiatorial combat. Millions of Americans hold Superbowl parties around the nation. The Super Bowl, which is usually held on the first Sunday in February, also has an effect on the nation’s economy and the workplace. For a couple of weeks before the Big Game many workplaces are afire with debate on who will win and why. This gridiron mania spills over into the days after the game when there is often endless debate about who won and why. Sometimes the debate and the excitement of the match overwhelms many workers, who can barely stand up after hours of imbibing and hollering for their favorite team. And this can affect some offices. For example, if you’re hoping for a quiet day at the office in a typical American workplace, with few people around to interrupt you, then the days after the Super Bowl should be perfect. That’s because absentee rates generally spike the day after “the Big Game,” which of course was accompanied by “the Big Bash” in millions of homes and then followed by “the Big Sickout” in millions of businesses. Indeed, more than half the office may not show up on Monday, the day after the Super Bowl. This is the conclusion of new research tracking office absences the day after a major sports event. “More than half of professionals (54 percent) know someone who’s called in sick or made an excuse for skipping work following a big game. That’s up from 41 percent three years ago,” according to a new study by the staffing firm OfficeTeam. “It definitely can be distracting and affect office productivity,” said Abigail Thomas, OfficeTeam Midtown office manager. 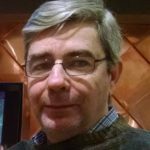 Thomas adds that companies should try to adjust by offering employees flextime but employees should also be responsible and request time off if they are crazy about the game. And many fans become meshuggah the day of the game either at home or at a friend’s house. The next day many no-show employees with throbbing heads, heaving guts and swearing never to chug-a-lug Colt45 de nuevo will have survived what has become a major event in American society: The Super Bowl party. Some 61 million Americans planned to attend one this year and some 44 million Americans were planning to host one, according to the National Retail Federation (NRF). “Whether it’s to see who wins, watch the halftime show and commercials or just get together with friends, this is the biggest party since New Year’s Eve,” said NRF CEO Matthew Shay. Where Are All My Workers? And the problem, the managers added, is getting worse. OfficeTeam said the 42 percent is a 20 percent jump from two years ago. “Employees can do their part to keep business as usual by giving advance notice if they want to take a day off,” says Stephanie Naznitsky, OfficeTeam executive director. On the other hand, some people believe there is a simpler solution. About half the people surveyed think that the Monday after the Super Bowl should become a national holiday, according to the consumer financial information website LendEDU. And that could mean a boost for some parts of the economy that know how to make the Super Bowl pay off. Indeed, a holiday the day after the Super Bowl bashes could turn out to be “a Super” day for retailers hawking hangover remedies and evangelists trying to persuade people to swear off booze.